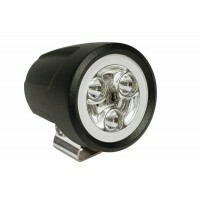 Marine Flood Lights	There are 28 products. 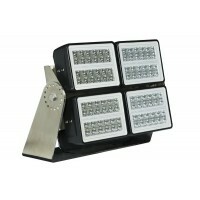 Powerful & efficient LED marine flood lights by Lumitec. Flush, semi-recess, surface & pole mount. 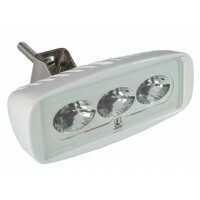 High-powered, dimming, dual-color and more. 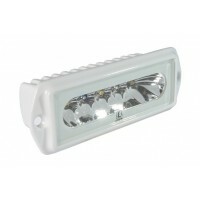 Lumitec Maxillume h120 – Trunnion Mount LED Flood Light is poised to set a new standard in DC powered work lights. 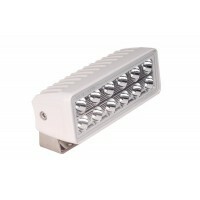 Delivering more than 12,000 TRUE lumens and housed in a heavy duty aluminum housing, this light is engineered to work hard. Voltage: 10-30vDC. Dimensions: 8in x 6in x 3.32in.Select Color Output and Finish / Housing here! 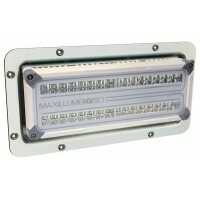 Lumitec Maxillume tr150 LED Flood Light – Semi-Recess Mount is rugged, reliable, with 20,000 measured lumens. Voltage: 10-36vDC. Dimensions: 9.12 in x 17.25 in x 1.5 in.Select Color Output and Finish / Housing here! 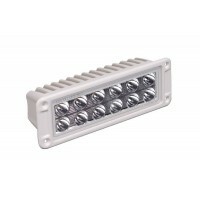 Lumitec Maxillume tr150 LED Flood Light – Surface Mount is rugged, reliable, with 20,000 measured lumens. Voltage: 10-36vDC. 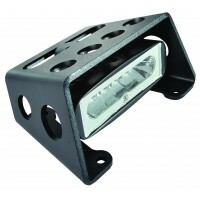 Dimensions: 5.1 in x 13.7 in x 2.36 in.Select Color Output and Finish / Housing here! 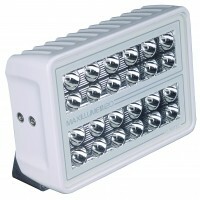 Lumitec Maxillume tr150 LED Flood Light – Trunnion Mount is rugged, reliable, with 20,000 measured lumens. Voltage: 10-36vDC. Dimensions: 7.8 in x 13.7 in x 3.76 in.Select Color Output and Finish / Housing here! 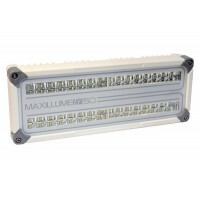 Lumitec Maxillume h60 – Flush Mount LED Flood Light has more than 6,000 TRUE lumens, and has twice the performance of previous models, new mounting options and proven and tested internal attenuator control. Voltage: 10-30vDC. Dimensions: 8.3 in x 2.72 in x 2.5 in.Select Color Output and Finish / Housing here! 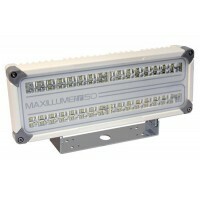 Lumitec Maxillume h60 – Trunnion Mount LED Flood Light has more than 6,000 TRUE lumens, and has twice the performance of previous models, new mounting options and proven and tested internal attenuator control. Voltage: 10-30vDC. Dimensions: 7.13 in x 3.15 in x 2.6 in.Select Color Output and Finish / Housing here! 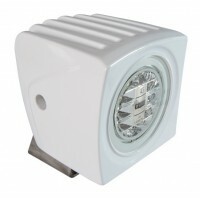 Lumitec Maxillume h120 – Flush Mount LED Flood Light is poised to set a new standard in DC powered work lights. 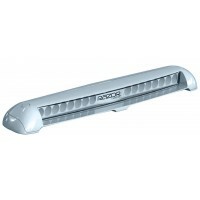 Delivering more than 12,000 TRUE lumens and housed in a heavy duty aluminum housing, this light is engineered to work hard. Voltage: 10-30vDC. Dimensions: 9.6in in x 6.6in in x 3.1in in.Select Color Output and Finish / Housing here! 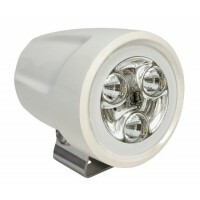 Lumitec CapriLT – Flush Mount LED Flood Light has more than 1,000 integrating sphere tested lumens, the CapriLT marine LED flood light builds on the Capri legacy to reaffirm market leadership. Voltage: 10-30vDC. 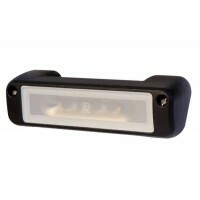 Dimensions: 4.49 in x 1.75 in x 1.57 in.Select Color Output and Finish / Housing here! Lumitec CapreraLT – Bracket Mount LED Flood Light has more than 1,000 integrating sphere tested lumens, the CapreraLT marine LED flood light builds on the Caprera legacy to reaffirm market leadership. Voltage: 10-30vDC. 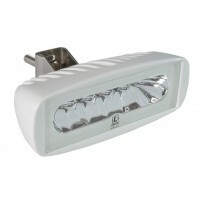 Dimensions: 1.98 in x 4.49 in x 2.58 in.Select Color Output and Finish / Housing here! 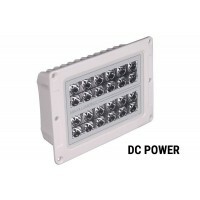 Lumitec Diesel – Extreme Duty LED Flood Light is designed for applications where durability, reliability and performance are non-negotiable demands. Voltage: 10-30vDC. Dimensions: 5.5in x 4.1in.Select Color Output and Finish / Housing here! 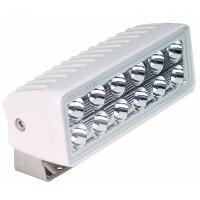 Lumitec Perimeter LED Flood Light is versatile, attractive and powerful. 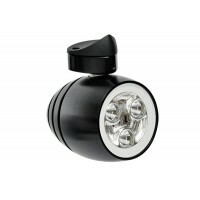 With more than 1,000 true lumens and an optical system designed to spread light very widely and evenly, it is uniquely suited to various specialty applications. 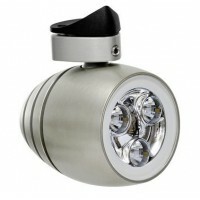 Mount it 3 to 4 feet high to illuminate deck surfaces with minimum up-shine. Select Color Output and Finish / Housing here! 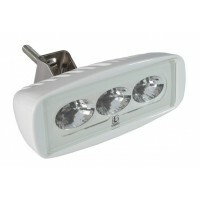 Lumitec Cayman – LED Flood Light is the most advanced flood lights on the market today. 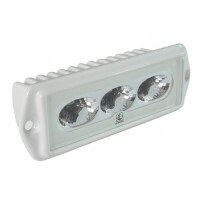 The Cayman family offers features available nowhere else: dual-color output, monolithic solid metal construction, dimming, and wide beam optical technology. Voltage: 10-30vDC. Dimensions: 7.78in x 5.14in.Select Color Output and Finish / Housing here! 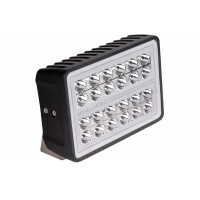 Lumitec Pinnacle LED Flood Light offers a 1,000 lumens output similar to the wildly successful Caprera line of marine flood lights. But Pinnacle’s radially symmetrical spot/flood optical design stays tighter and punches farther.Select Color Output and Finish / Housing here! Lumitec Octane – LED Wakeboard Tower Light has style, refinement, meticulous design and incredible performance: it is the wakeboard tower light. Voltage: 10-30vDC. Dimensions: 3in x 2.75in.Select Color Output and Finish / Housing here!